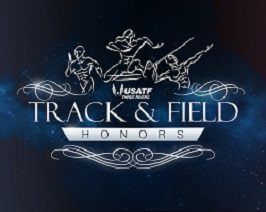 PITTSBURGH – The USATF Three Rivers Association is pleased to announce the youth winners of the 2018 TRA Track & Field Honors awards. Started in 2015, this recognition program was created to celebrate the achievements of association members. The TRA Honors program may also recognize coaches, volunteers or those who display great sportsmanship. Download the 2018 Three Rivers Association Honors – Track & Field Newsletter to learn more about both winners, their reactions and future plans.